Héroux-Devtek has announced significant changes to its management that will come into effect on June 1st. The current President and CEO of Héroux-Devtek, Mr. Gilles Labbé, is giving up his position and will continue on the Board of Directors as Executive Chairman of the Board. Mr. Labbé, who is an accountant, holds a bachelor’s degree in business administration; He began his career in 1982 with the Héroux company where he held various positions to become the CEO in 1989. He was the one who was the architect of the merger with Devtek in 2000 and he occupied the President and Chief Executive Officer of Héroux-Devtek until now. 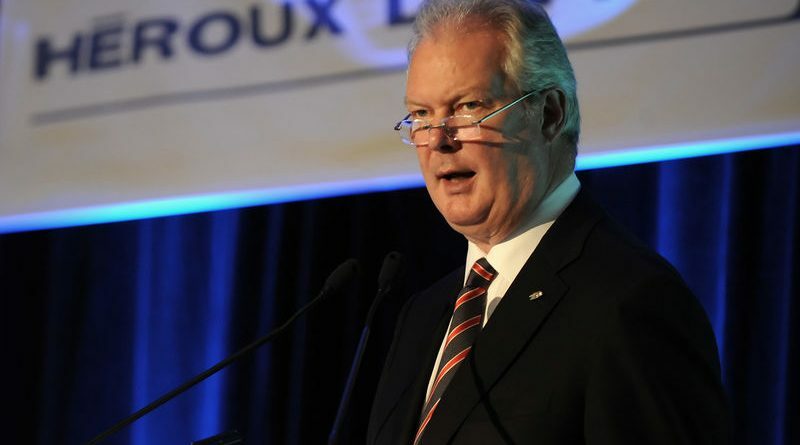 Under the leadership of Mr. Labbé, Héroux Devtek has grown steadily to become the third largest landing gear manufacturer. The biggest “coup d’éclat” in the career of Mr. Labbé is probably the obtention of the Boeing 777 landing gear contract in December 2013 that made Héroux-Devtek a world-class company capable of working on any civil and military aircraft programs. Mr. Labbé is very proud to say that Héroux-Devtek was able to deliver the first landing gear of the B777 one month in advance while keeping its budget, silencing skeptics. Mr. Labbé has also been a member of Aéro Montréal’s board of directors for several years. Mr. Martin Brassard will succeed Mr. Labbé as President and Chief Executive Officer of Héroux-Devtek. Mr. Brassard has been with the company for 25 years now and is the Executive Vice President and Chief Operating Officer since 2014. He was responsible for the implementation of the contract with Boeing for the B777 landing gear. Le titre en anglais dit le contraire de la nouvelle.